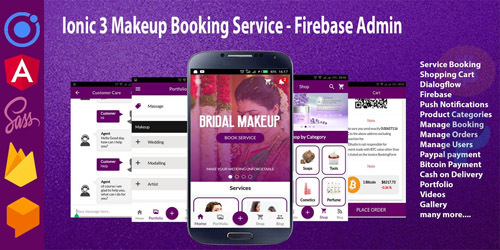 Ionic�3 Makeup Booking Service - Firebase Admin is a full and complete mobile application built with ionic 3 framework, Angular 5 and Firebase. 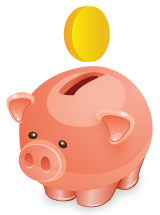 The application consist of Customer Frontend and Admin backend dashboard. The application display makeup services and makeup products which user can browse and book appointment or order for�product.It�also include three payment method, Paypal payment, Bitcoin payment and cash on delivery. The Admin Dashboard is used to manage services, bookings, Orders, products and users.The application is built for Android, iOS and Windows Phone.